The U.S. Air Force will inactivate its GPS Wing at Los Angeles Air Force Base on Wednesday (November 10) and replace it with the Global Positioning Systems Directorate. Reflecting mostly the taxonomy and naming conventions of military commands and organization, the new designation is expected to bring little change in the new organization’s leadership or scope of responsibilities, although the organization will no longer have headquarters status. Air Force Groups will become Divisions and Squadrons, Branches. 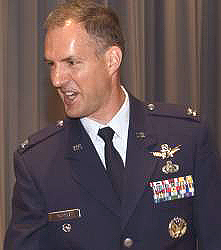 Col. Bernard Gruber, director of the GPS Wing, will continue as director of the GPS Directorate.